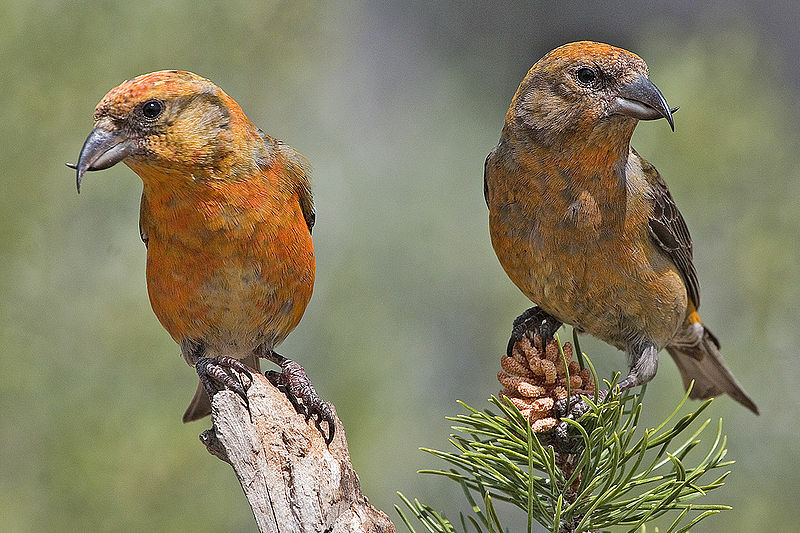 The Crossbill troubles itself but little about the other inhabitants of the woods, and is said to be almost fearless of man. Should the male lose his mate, he will remain sorrowfully perched upon the branch from which his little companion has fallen; again and again visit the spot in the hope of finding her; indeed it is only after repeated proofs that she will never return that he begins to show any symptoms of shyness. 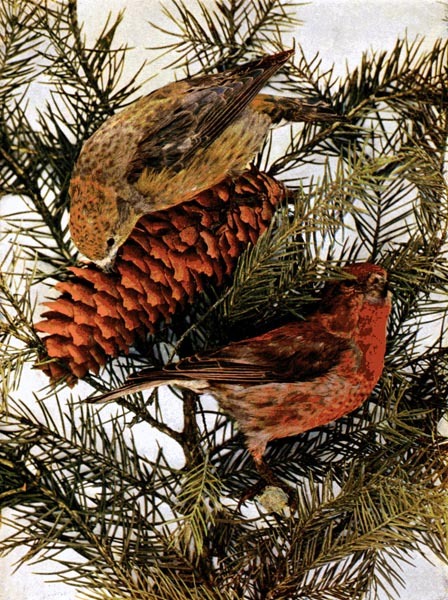 In feeding the Crossbill perches upon a cone with its head downwards, or lays the cone upon a branch and stands upon it, holding it fast with his sharp, strong pointed claws. Sometimes it will bite off a cone and carry it to a neighboring bough, or to another tree where it can be opened, for a suitable spot is not to be found on every branch. The nest is formed of pine twigs, lined with feathers, soft grass, and the needle-like leaves of the fir tree. Three or four eggs of a grayish or bluish white color, streaked with faint blood red, reddish brown, or bluish brown spots, are generally laid. The following poem is quite a favorite among bird lovers, and is one of those quaint legends that will never die. 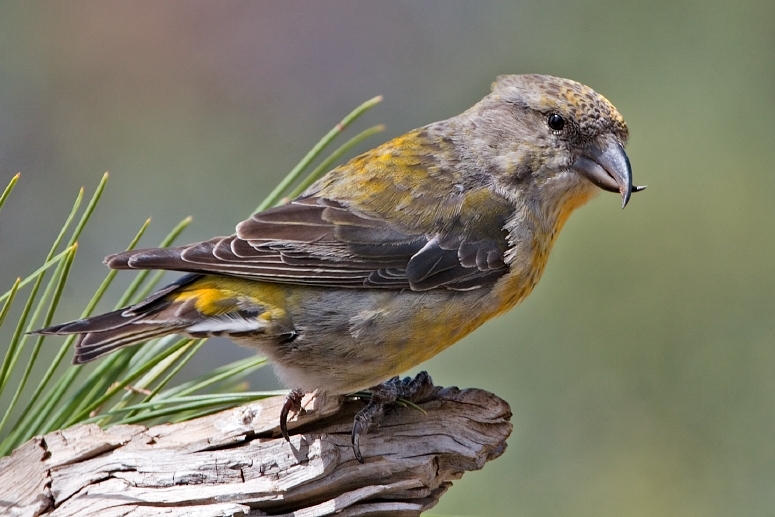 THE LEGEND OF THE CROSSBILL. In his pierced and bleeding palm. A little bird is striving there. “Blest be thou of all the good! Songs, like legends, strange to hear. The Lord has created another neat bird and provided it with a unique way to feed. This bird belongs to the Finch – Fringillidae Family and are characterised by the mandibles crossing at their tips, which gives the group its English name. Adult males tend to be red or orange in colour, and females green or yellow, but there is much variation. They have a length of 5.5-7.9 in (14-20 cm) and a wingspan of 9.8-10.6 in (25-27 cm) and they weigh .8-1.6 oz (24-45 g). 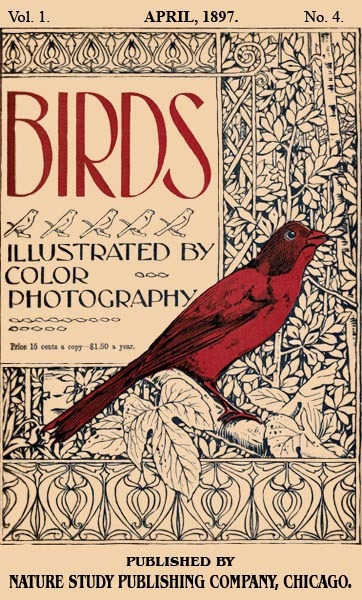 This entry was posted in Birds, Kid's Section and tagged Birdwatching, Christian, Crossbill, Finch, Fringillidae, From The Past, Home School, Kids, Photography, Vol 1 #4 April 1897, Youth. Bookmark the permalink.